The Senate passed the provision July 12 by a vote of 19-11, with Lucio as the sole Democrat to vote for the bill. The legislation now goes to Gov. Rick Perry, who is widely expected to sign them into law. Scripture teaches that life begins in the womb, Lucio said July 12. "A human person is a person, no matter how small," he said. "With the recent addition of abortion-related legislation to the call of the special session, I write today to remind you of the position of the Baptist General Convention of Texas and urge your careful consideration of bills intent on reducing abortion in Texas. 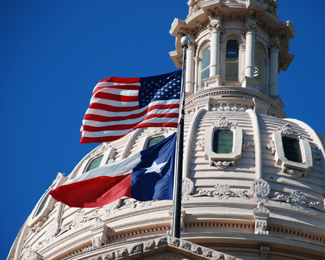 "Texas Baptists have had a consistent and clear position regarding the morality of abortion. Abortion is inconsistent with Christian practice and should be avoided. Scripture is clear that each person is created in God's image, and abortion as birth control is not compatible with the call of the gospel to reverence life. Importantly, the biblical narratives teach us to reverence every life involved in a crisis pregnancy: the unborn, the mother, the father, the extended family, the whole of society. "This understanding is to be taught first and foremost in our homes and churches, but there is also a place for a public witness and legislative action. Texas Baptists support legislative remedies which serve to limit abortion except in extreme circumstances." Hardage's letter reflects the position of the Baptist General Convention of Texas. Its pro-life stance reaches well beyond legislation, helping the vulnerable throughout Texas and beyond. Texas Baptist hospitals provide millions of dollars in free medical care to those who cannot afford it each year. Texas Baptist children's homes provide safe, nurturing places for young people to live. Texas Baptist retirement homes care for the elderly. Churches feed the hungry in their communities and raise money through the Texas Baptist Hunger Offering to aid those who live beyond their direct sphere of assistance. Mission teams help the impoverished in the inner cities to the Texas-Mexico border and everywhere in between. In addition to prohibiting abortions after 20 weeks of pregnancy, the bill also mandates that clinics that perform more than 50 abortions a year meet standards established for outpatient surgical centers. Doctors also would be required to perform a complete examination before administering abortion pills. Follow-up exams must be performed within 14 days. Doctors who perform abortions would be required to have permission to admit patients to a hospital within 30 miles of their offices.